Of the nearly 1 million Americans who served on active duty in the U.S. Armed Forces during the Vietnam War era (1964-75), many were or went on to become famous in diverse fields such as politics, entertainment, sports and journalism. The young Navy pilot John McCain, son of a four-star admiral, spent five and a half years as a prisoner of war in Vietnam before going on to become a longtime senator from Arizona and a Republican presidential candidate. 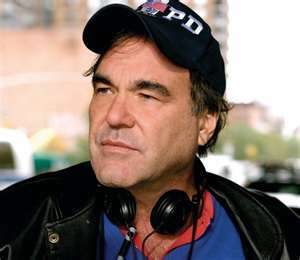 Oliver Stone, who served in an infantry division in Vietnam for 15 months, drew on his experience in the war for films like “Platoon” (1986) and “Born on the Fourth of July” (1989), both of which earned him Academy Awards for Best Director. These men are just two of the most famous American veterans of the Vietnam War. McCain’s paternal grandfather and his father were four-star admirals; his father rose to command all the U.S. naval forces in the Pacific. A graduate of the Naval Academy at Annapolis, McCain volunteered for combat duty in Vietnam and began flying carrier-based planes on low-altitude bombing missions over North and South Vietnam. On October 23, 1967, during his 23rd air mission, the North Vietnamese shot down McCain’s plane over Hanoi; he broke both arms and one leg in the crash. When his captors learned he was the son of a high-ranking officer, they offered him early release, but McCain refused, partly because he wanted to prevent the enemy from using his release as propaganda. 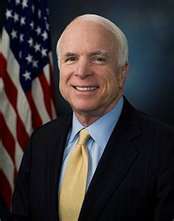 McCain spent five and a half years in captivity–including a stint in the infamous Hoa Loa prison, nicknamed the “Hanoi Hilton”–and was repeatedly beaten and tortured. In March 1973, soon after a ceasefire ended U.S. participation in Vietnam, he was released along with other American POWs. McCain earned a Silver Star, Bronze Star, Purple Heart and Distinguished Flying Cross for his service in Vietnam. His war injuries made it difficult for him to continue his career in the Navy, and he decided to enter politics, winning a seat in the House of Representatives from Arizona in 1982. He moved on to the U.S. Senate in 1996, and in 2000 made an unsuccessful run for the Republican nomination for president. Eight years later, he won the nomination, but lost to Barack Obama in the 2008 presidential election. Born and raised in New York City, Stone dropped out of Yale University to teach English in South Vietnam, then dropped out again to enlist in the U.S. Army in 1967. During a 15-month tour of duty, Stone served in the 25th Infantry Division near the Cambodian border. In contrast to his earlier time in South Vietnam (near the beginning of the U.S. presence there), Stone felt that the Vietnamese had grown to resent the presence of American troops, and he soon grew disillusioned with the war effort. Wounded several times during his service, Stone was awarded a Bronze Star and two Purple Hearts. After his return from Vietnam, Stone attended film school at New York University under the G.I. bill, studying with teachers like Martin Scorsese and producing early student films including “Last Year in Viet Nam” (1971). Stone went on to mine his experience in Vietnam for a trilogy of films: “Platoon” (1986) and “Born on the Fourth of July” (1989), both of which earned him Academy Awards for Best Director; and “Heaven and Earth” (1993). “Platoon” drew on Stone’s experience as a young volunteer in Vietnam, while “Born on the Fourth of July” was based on a memoir written by Ron Kovic, a paraplegic Vietnam vet who became an antiwar activist. A native of Harlem and the South Bronx in New York City, Powell joined the Reserve Officers’ Training Corps (ROTC) at the City University of New York and upon graduation was commissioned as a second lieutenant in the U.S. Army. He served two tours of duty in Vietnam, from 1962-63 and 1968-69. In 1963, Powell was wounded by a punji-stick booby trap near the Vietnamese border with Laos; he was awarded the Purple Heart and later the Bronze Star for his injuries. During his second tour, he was injured in a helicopter crash, though he managed to help his fellow soldiers from the burning aircraft and earned the Soldier’s Medal for his actions. 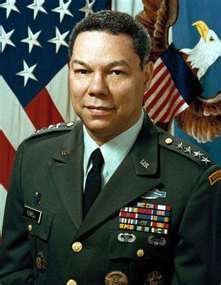 After Vietnam, Powell continued to rise in the military ranks, winning the post of national security adviser to Ronald Reagan in 1987 and chairman of the Joint Chiefs of Staff under George H.W. Bush. He retired from the military in 1993. Despite widespread encouragement to run for president in the 1990s, Powell declined to throw his name into the ring, and in 2001 he became the country’s first African-American secretary of state, in the administration of George W. Bush. As a 25-year-old lieutenant in Vietnam in February 1969, the Nebraska-born Kerrey led a team of Navy SEALs in a nighttime mission on the village of Thanh Phong, on the Mekong Delta. They had been informed that Viet Cong were holding a meeting at the site, but ended up killing at least 13 unarmed women and children inside several peasant houses, known as “hooches.” The following month, Kerrey lost the lower part of his right leg when a grenade exploded at his feet during his team’s mission on Hon Tam Island in Cam Ranh Bay and was awarded a Medal of Honor. Roger Staubach, quarterback of the Dallas Cowboys from 1969-79 and the winner of two Super Bowl titles, graduated from the U.S. Naval Academy at Annapolis and served a tour of duty in the U.S. Navy in Vietnam before joining the fledgling National Football League (NFL). Longtime U.S. senator from Tennessee and vice president (1993-2001) Al Gore enlisted in the U.S. Army after his graduation from Harvard and served in Vietnam as a military reporter from 1969 to 1971. Among the many other well-known American Vietnam veterans in various fields include Fred Smith, the founder of Federal Express; Craig Venter, the biologist who in 2001 announced the successful sequencing of the human genome; Tom Ridge, the former Pennsylvania governor who served as the first U.S. Secretary of Homeland Security; former Governor Gray Davis of California; John Kerry, the U.S. senator from Massachusetts and 2004 Democratic presidential nominee; “Wheel of Fortune” host Pat Sajak; the writers Tim O’Brien, Tracy Kidder and Nelson DeMille; and the actor Dennis Franz.